We have traveled around the globe to bring you “Patisseries du Monde”, the finest collection of biscuits, cookies and pastries in the world. Made in grand tradition of old world bakeries, our pastry artisans transform high quality ingredients into exquisite, sweet delights that are sure to tickle your palate. 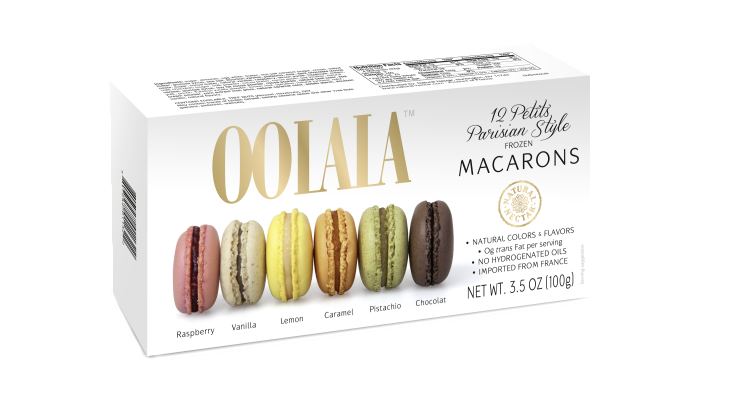 Natural Nectar Patisserie Organic Palmiers, lend an international flavor to your dessert table. 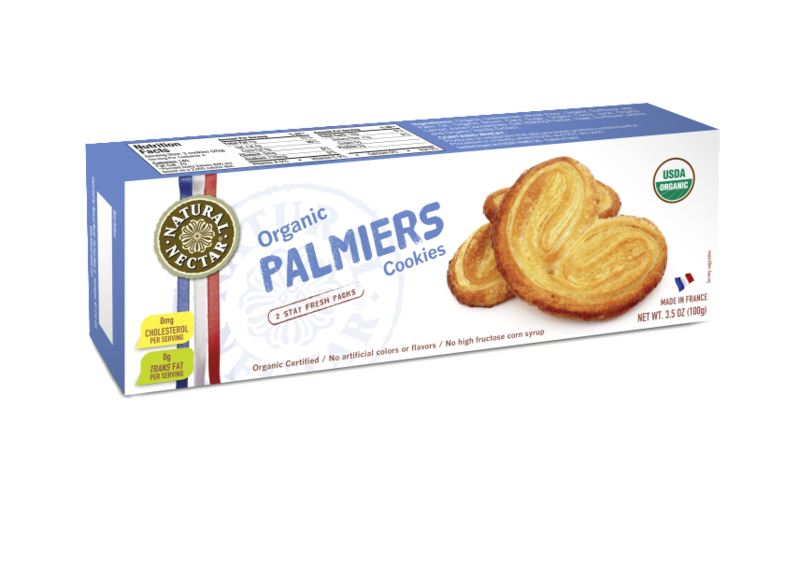 Our Patisserie Organic Palmiers are traditional French delicate flakey cookies enjoyed for centuries by many European families. 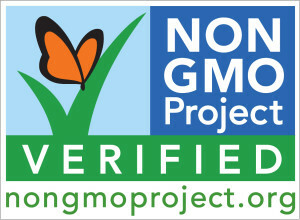 From young children to parents and grandparents, their appeal is unanimous. 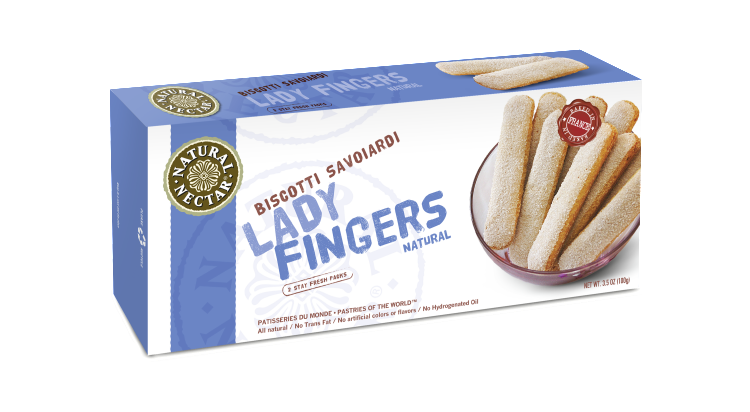 Crispy & light with a lingering taste of pure vanilla, they are one of the best family cookies that we have ever tasted and our bakery team is proud to bring the opportunity of this delicacy to be enjoyed by all American families. 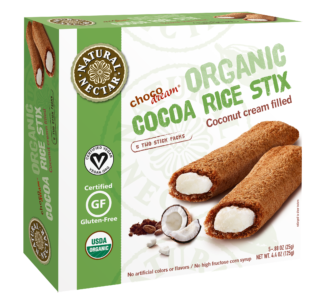 Perfect to dip into an aromatic cup of hot cocoa, or soak in your favorite ice cream sundae, custard, caramel cappuccino or smoothie. Simply an elegant accompaniment to a fruit plate, Natural Nectar Patisserie Organic Palmiers add a note of sweet sophistication to any celebration. 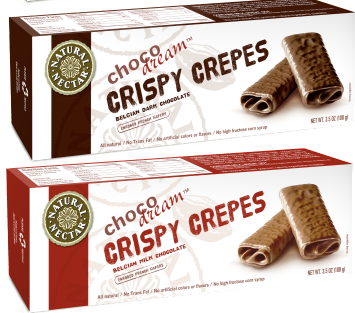 Crispy Crepes combine the finest quality ingredients to perfect the ideal combination of a crispy delicate crepe wafer underneath a pure coat of rich Belgian real chocolate. This gourmet delicacy was invented in 1920 in Brittany France and the recipe remains secret to this day. Its irresistible taste makes it impossible to eat just one. Treat yourself alongside your favorite cup of tea, coffee, or ice cream, as a sweet little finale to any meal, or as a simple way to unwind at anytime of the day! Enjoy! 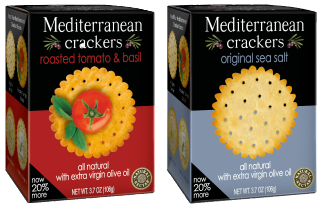 Freshly made by our master bakers in Greece, our Mediterranean Crackers are made with extra virgin olive oil and the freshest ingredients to result in a crisp, flavorful snack cracker that is perfect for any time of the day. Whether topped with a favorite cheese, spread or simply enjoyed straight from the box, Mediterranean Crackers bring the authentic flavors of Greece to your table. 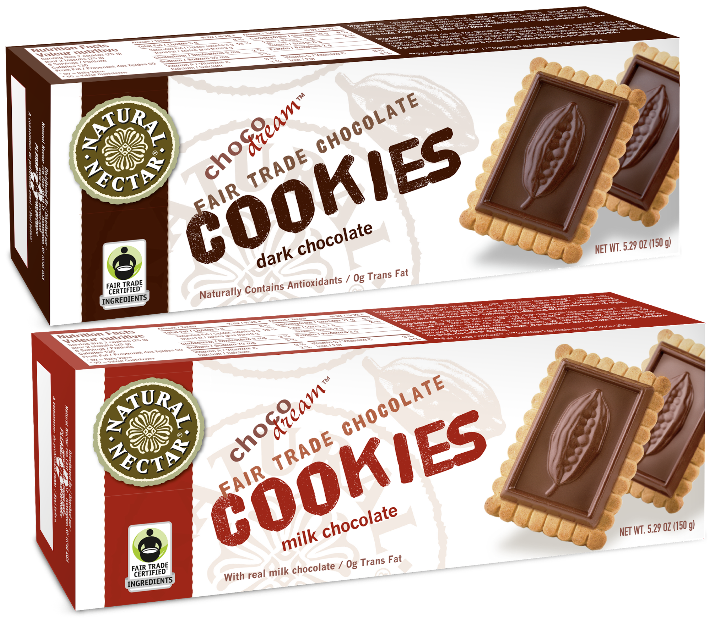 Look for the Natural Nectar logo on each fresh box of Cracklebred… your assurance that the Cracklebred on your store shelf is the real deal! 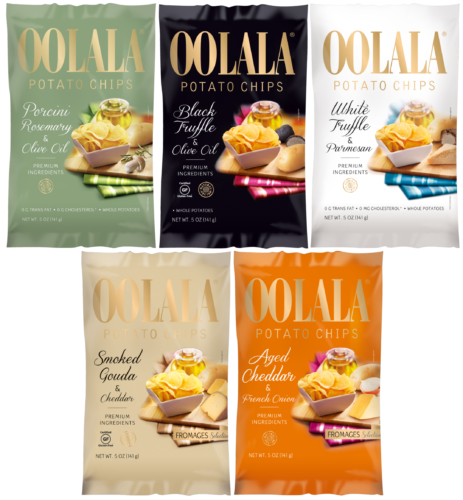 All four flavors are now GLUTEN FREE. 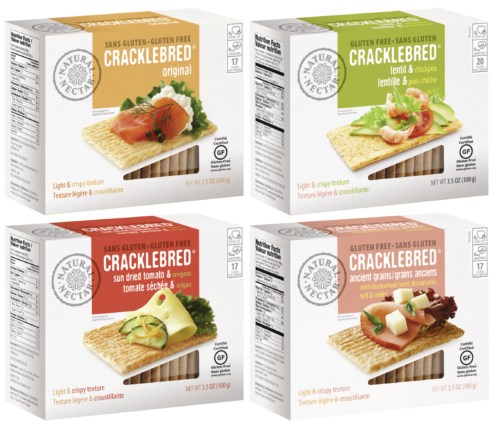 Our Cracklebred is a unique, gourmet cracker that is perfect to top with cheeses, spreads, or fine salads. 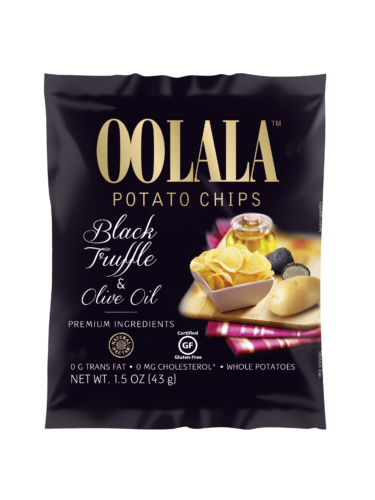 A delicate treat that is fat free, low calorie and irresistibly delicious. Cracklebred’s light and crispy texture is ideal for entertaining or as an accompaniment to any meal. ChocoDream is a cocoa lover’s dream come true! 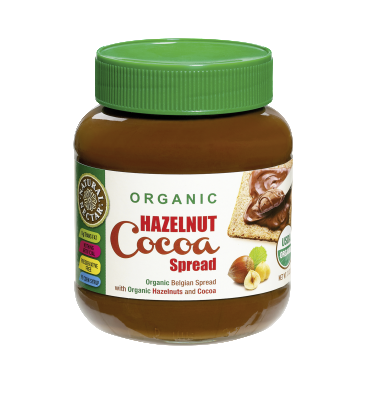 Made with premium quality ingredients for a one of a kind taste and smooth, creamy texture, ChocoDream is a rich and deeply flavorful Belgian cocoa spread that is a simply perfect way to enhance toast, croissants, waffles, crepes, apples, bananas… the possibilities are endless! 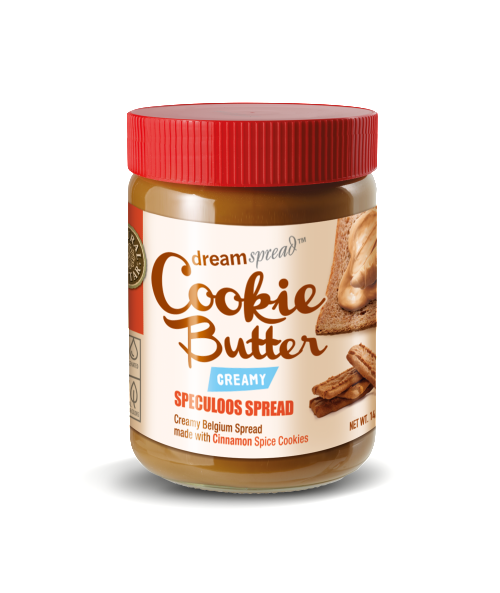 Speculoos Spread is a great alternative to peanut butter with the traditional flavors of Speculoos cookies. This rich, deeply flavorful Belgium Speculoos Spread is a delicious way to enhance toast, croissants, waffles, crepes, apples, bananas…the possibilities are endless! ChocoDream is a cocoa lover’s dream come true! 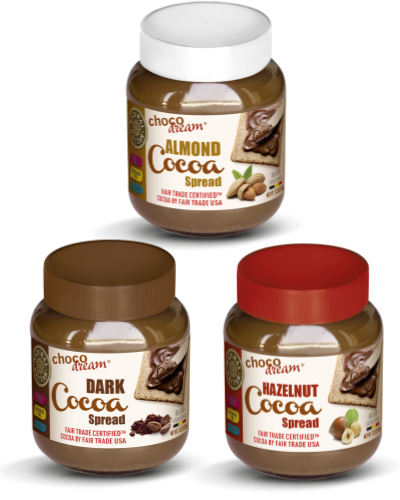 Made with premium quality ingredients for a one of a kind taste and smooth, creamy texture, ChocoDream is a rich and deeply flavorful Belgian cocoa spread that is a simply perfect way to enhance toast, croissants, waffles, crepes, apples, bananas…the possibilities are endless! 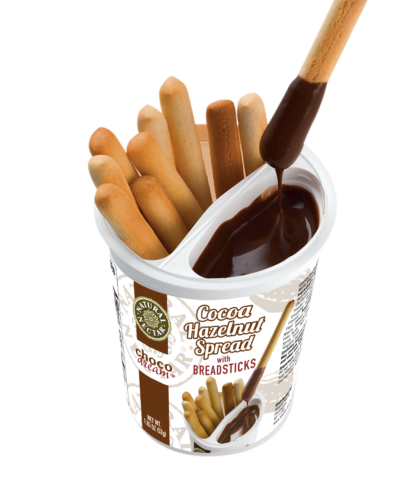 Natural Nectar is introducing its all-new ChocoDream™ Cocoa Hazelnut Spread Dipper with Breadsticks; conveniently packaged in a single-serve container suitable for all ages. This is the perfect treat alongside a cup of tea or coffee, as a sweet finale to any meal, or as a simple way to unwind at any time of the day. 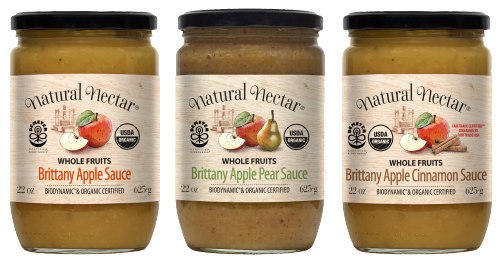 Natural Nectar has selected the best quality Brittany Apples from the Biodynamic Orchards of Côteaux Nantais in Nantes, France. Since 1943, Côteaux Nantais has grown its expertise in cultivating Apples at the pace of Nature. Today, Côteaux Nantais produces the best 40 varieties of Apples in the World to foster the most deli-cious combination of flavors. 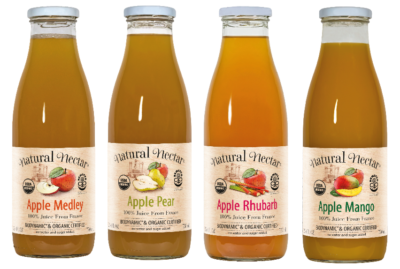 Natural Nectar is committed to bringing you these unique flavors here in the New World. A product from the sun, wind & water. 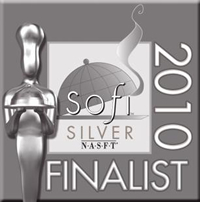 Our dazzling snow white sea salt originates in the Mediterranean Sea, where crystal clear waters ebb and flow through an environmentally preserved coastal region. Here, the sultry sunshine and gentle winds evaporate the sea water, leaving behind premium Natural Tides Sea Salt. Traditionally harvested for centuries, the salt is unrefined, unbleached and contains naturally occurring essential trace minerals — calcium, magnesium & copper. 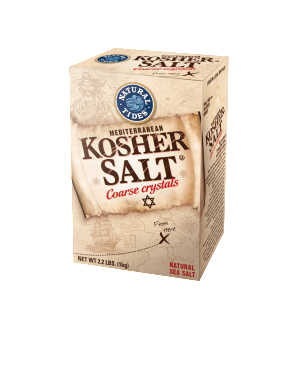 Truly a treasure of the sea, these coarse crystals enhance any dish with their subtle flavor and textural crunch. 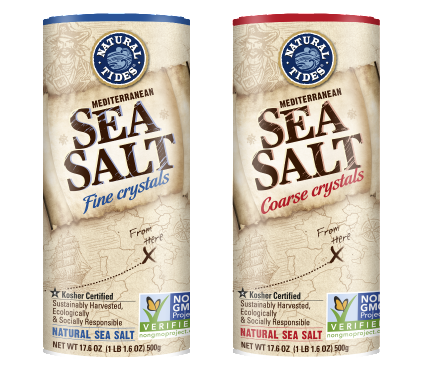 Whether used as an ingredient or as a delightful garnish, Natural Tides Sea Salt adds clean, refined flavor to salads, meats fish & vegetables.